The Academy operates a “cashless” system at lunchtimes. No student can hand over money to the catering staff when purchasing their food or drinks. All purchases are performed via the child’s ID card, which is part of their Academy uniform. In order to make a purchase, money must first be loaded onto the child’s account. Free School Meal (FSM) allowances are automatically assigned to a child’s account for the lunch period only. These take priority over any cash on an account at the point-of-sale. Meal preferences will be collected per half term and MUST be returned by the last week of the previous half-term to ensure your child receives their choice of meal. Failure to respond may result in issues with meal provision. Meal purchases will be automatically deducted from a student’s account on a daily basis. In case of absence, the record will be corrected on a daily basis by the Langley administration team. If the balance has not been credited within two working days, please contact the Academy. It is your responsibility to ensure that your child has sufficient credit to spend on meals. The ParentPay system should send you a notification when your balance reaches a certain level. The Academy will also check these balances daily and any account with insufficient balance for the day will receive a telephone call as a reminder. If payment is not forthcoming, then meal provision may cease. Q3 Academy Langley uses the ParentPay system in order to allow you to avoid sending you child into the Academy with cash for their breaktime/lunchtime purchases. This system allows you as a parent or guardian to log into the ParentPay website and securely load your child’s account with money to spend. The system saves your child from bringing in coins and notes and having to queue to load the money onto their card using our cash loaders. The Academy also allows trip payments to be made via ParentPay, again avoiding sending your child into school with large amounts of cash or cheques and instantly providing you with confirmation of your payment. Via PayPoint terminal (available in most newsagents and supermarkets). N.B. You must contact the Academy to order a PayPoint card. You will need one card per child. Cards will be charged at £1.80 each. 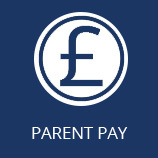 For any queries or further details of the ParentPay system, please contact the Academy.